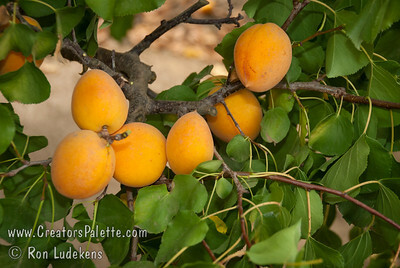 Grant Merrill introduced many fruit varieties at the California Research Station in Red Bluff, CA. He retired and moved to Visalia and gave a new apple tree he was researching to a neighbor of ours. They were to grow it and he would review it later. Unfortunately he passed away. 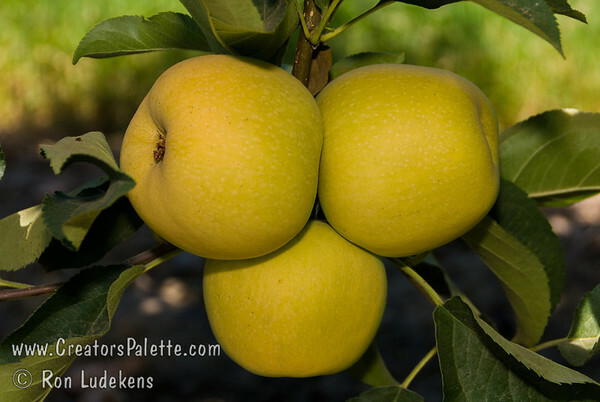 This variety was a Golden Delicious apple that produced large quality apples in July. His review was to see how it produced in our hot valley before the long summer heat. The neighbors knew it had never been introduced and did not want it lost, so the L. E. Cooke Co started production. 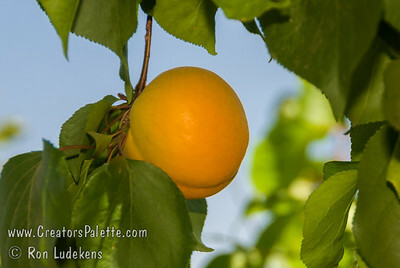 The L. E. Cooke Co first grew July Golden in 1973-74. July 1975 we planted the trees in our Cooke 1 orchard. It became a good producer of large apples. To have our sales staff see and eat the apple, we planted a tree next to the lab office, right outside the sales door. The sales staff did the pruning to keep it as an EZ-Pick demonstration tree. The tree set very abundant crop of large apples in early July so customers could see them. One of the salesmen saw them dropping each day and boxed them for my wife to make apple sauce. Even thought the sales staff got carried away pruning, they saw lots of apples on the 2 year wood. None were harmed by the summer heat when over 100°. 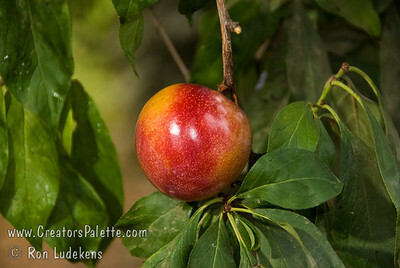 The early season ripening helps a lot and the foliage protected them similar to a spur apple. The fruit is large golden-yellow crisp good tasting apple resembling the fall Yellow Delicious. 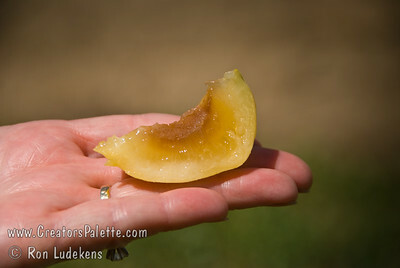 It produced apples in early July after 100° weather in late May, June, and July. The early season ripening and the foliage protected the apples which had no heat caused blemishes. They were crisp quality flesh. This is another great choice for our hot valley and similar climates in other states where they have 600 or more chill hours. The L. E. Cooke Co was very fortunate to learn of this new July Golden Apple. Why wait to September for your apples? They make good apple sauce and pies.